Racing Bahrain was being crowned champions in the tight 24-hour final contest in Bahrain SWS Endurance Karting Championship, held over the weekend at Bahrain International Karting Circuit (BIKC) in Sakhir. The Racing Bahrain team comprised of Mohammed Mattar, Khaled Alsaei, Khaled Alrayes, and Duarte Lopes exhibited supreme teamwork and grit as they overcame a grueling challenge claiming the overall title for the 2018/2019 endurance karting season with a narrow winning margin in the weekend’s finale, with their chief rivals GO Bahrain hot on their heels. GO Bahrain finished just 1.898 seconds behind the victors after a 24-hour battle. The deserving runners-up were comprised of Ali Baslar, Abdulla Buhendi, Raed Raffii, and Rashed Almuammari. Racing Bahrain squeezed ahead for their triumph even though both teams completed 1,131 laps during the overall race duration. Bapco Sadeem reached third place with the completion of an overall 1,125 laps. 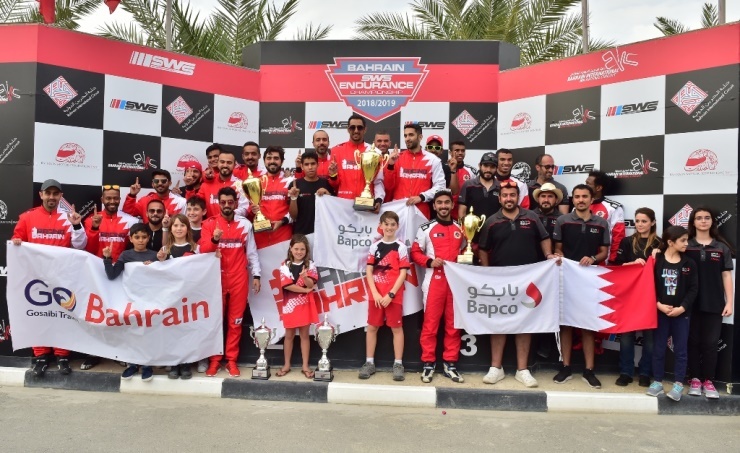 Racing Bahrain achieved the overall winner’s title along with first place in the Pro category with 120 points followed by Bapco Sadeem with 102 points and BeeSa Racing with 45 points. 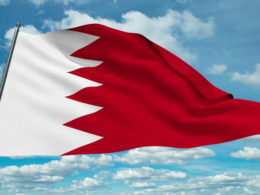 In the Nations class, Go Bahrain achieved the winner’s title, while Racing Bahrain reached second while the third place was taken by MMC Racing. The Corporate class title was claimed by Bapco Motorsports with 104 points. Ithmar Bank was ranked second on 60 points, while Redline Racing came third on 42 points. A total of 14 squads competed in the event, in which drivers took turns racing for their teams in identical 390cc Honda-powered Sodikart GTR 4s, each of which can generate up to 13HP. 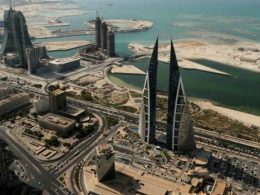 Following the round’s results, Racing Bahrain had another reason to celebrate as they had also claimed the season’s title in Bahrain SWS Endurance Championship. The winners finished the sport with 120 points at the end of this year’s campaign, 18 points ahead of GO Bahrain. Bapco Sadeem took a distant third with 84 points. 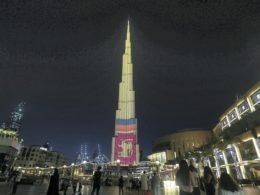 Racing Bahrain secured free entry to the 24 Hours of Gulf Run Kuwait 2020 with their championship win. The 2018/2019 season of the Bahrain SWS Endurance Championship featured four rounds in all and included races over three hours, six hours, 12 hours and 24 hours in length. Following the finale, the winners were honoured by their respective silverware in a podium ceremony attended by officials from BIKC, Bahrain International Circuit, and the Bahrain Motor Federation.